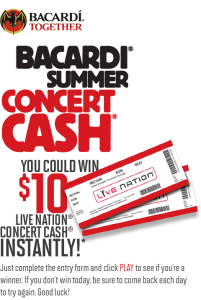 You could win $10 in Live Nation Concert Cash Instantly! 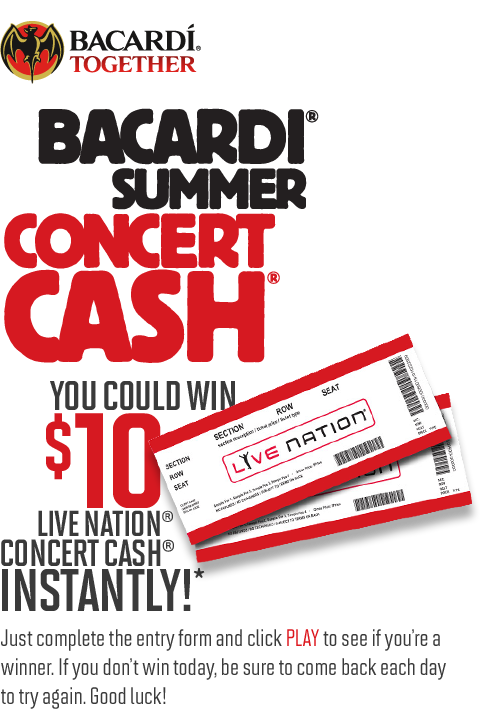 Just complete the entry form and click PLAY to see if you’re a winner! Be sure to come back every day to try again!